"Dr. Charles is the nicest doctor I have ever met, he makes you feel at ease." "Dr. Charles performed surgery to remove my fibroids. I would refer him to anyone." "Best gynecologist in town. He is a kind, caring and informed physician." "He is very professional, wise, kind, and much more. Best doctor that I've ever seen..."
"Excellent bed side manner. Interested in mental as well as physical health." "Highly recommend Dr. Charles to anyone seeking a compassionate, skilled, gifted doctor." "Fantastic surgeon, a caring healer, and one who sets you at ease." Leroy Charles, MD, FACOG, is an OB/GYN in Greenacres, Florida. Dr. Charles helps patients with a range of problems including bladder problems, pelvic pain, endometriosis, menopause, and hormone therapy. Dr. Charles attended medical school at the Universidad Autónoma de Guadalajara. He later completed a residency in obstetrics and gynecology at Wesson Women's Hospital in Springfield, Massachusetts. Dr. Charles is a board-certified gynecologist diplomate and a fellow of the American College of Obstetrics and Gynecology. 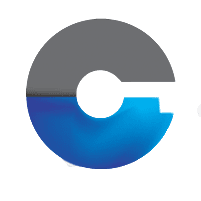 He is also certified by the American Association of Gynecological Endoscopy for the performance of major and advanced laparoscopic surgery in the gynecology field. To make an appointment with Dr. Charles, call or schedule an appointment online. Dr. Charles looks forward to seeing both new and returning patients. 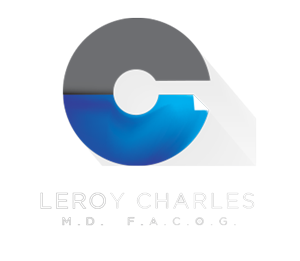 Dr. Leroy Charles works with most major insurance companies. If you have any questions, call our office and one of our knowledgeable staff members would be happy to help. "Dr. Charles is a brilliant, experienced and thoughtful physician. He explains everything in a manner that's easy to understand and ensures that I'm aware of my options." "I've been a patient of Dr. Charles for 20 years. He is the most compassionate person, let alone doctor I have ever met." "Dr. Charles is a wonderful surgeon. He did two surgeries on me and both were great. He also has a wonderful bedside manner. Very kind and calm." "A very kind caring doctor. Dr Charles takes the time to explain his procedures and never let you feel uncomfortable with his procedures." "Dr. Charles is awesome, I've been his patient for several years. He's very thorough and up to date with today's health issues." "My Favorite doctor ever. I have a very sensitive diagnosis and Dr. Charles has a very soothing manner. His staff is very efficient and pleasant." "Exceptional surgeon, exceptional results. I also was extremely impressed by his bedside manner-- amazing personality. I am so glad I chose him to do my surgery."